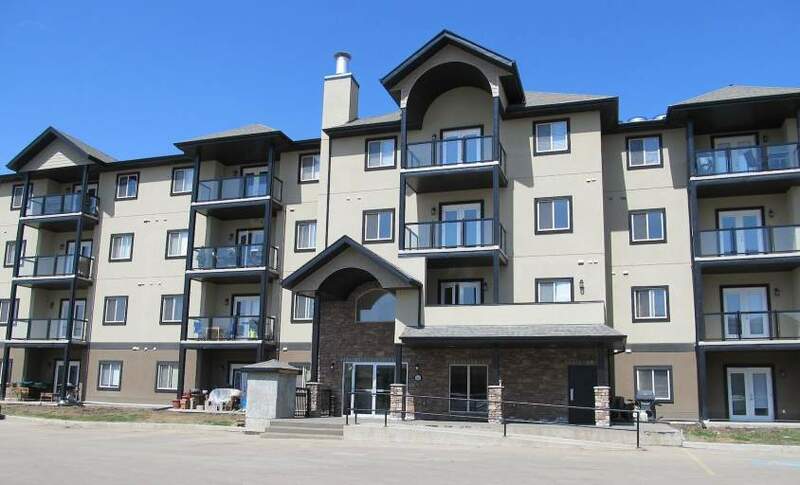 This beautiful building in Spruce Grove is located only 20 minutes west of Edmonton, and offers easy access to all of Spruce Grove's amenities! With a large recreation centre, major shopping and entertainment venues nearby, this is a perfect neighbourhood to call home! Two spacious bedrooms with large closets and big windows. two full bathrooms (including the ensuite in the master bedroom!). Large, open concept design for the kitchen, dining room and living room. Bar style island and all new appliances. Double sink with fridge, oven/stove, and built-in dishwasher. Perfect sized balcony for those summertime cookouts, or to sit and relax after a long day at work. And to top it off, your entire suite is air conditioned!! The unit also offers in-suite laundry inside a small laundry storage space, plus access to a secure, underground parking stall. Heat and Water Utilities are included, meaning you only pay for your own power!